Humans can discriminate tens of thousands of odors. While we may take our sense of smell for granted, it adds immeasurably to our quality of life: the aroma of freshly brewed coffee; the invigorating smell of an ocean breeze or a field of wildflowers; the fragrance of a lover or the natural smell of a baby. Our olfactory sense also warns us when milk turns rancid, when a baby's diaper needs changing and when there's a gas leak. In animals, the sense of smell is essential for detection of predators and other dangers, food sources and mates. How this amazing sense works to discriminate odors is controversial. The mainstream mechanism vying for consideration is chemical. 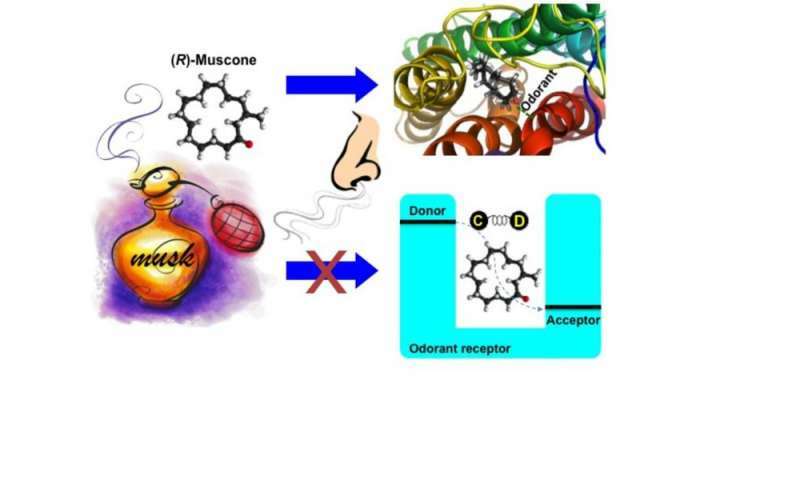 Often referred to as the shape theory of olfaction, it proposes that attractive and repulsive interactions between molecules come into play when an odorant interacts with its receptor in the nose – ultimately triggering perception of the smell. These molecular interactions reflect the chemical features of whatever you're sniffing: molecular size, shape, and functional groups – combinations of atoms such as hydroxyl (OH) or carbonyl (C=O) that possess special chemical reactivity. The alternative mechanism is called the vibrational theory of olfaction. It assumes that transfer of an electron occurs when odorants bind with their receptors. This process is thought to occur when olfactory receptors detect odorant molecular vibrations. The suggestion that a molecule's smell is based on its vibration frequency is similar to how the sense of hearing functions. The vibration theory has been promoted by a popular book on the topic. Through our new research, my colleagues and I are shifting the debate. Based on our experiments, we conclude that the chemical mechanism is the correct one and the vibrational theory of olfaction is implausible. Here's how we investigated. We wanted to reexamine some earlier work that had been touted as support for the spectral theory. 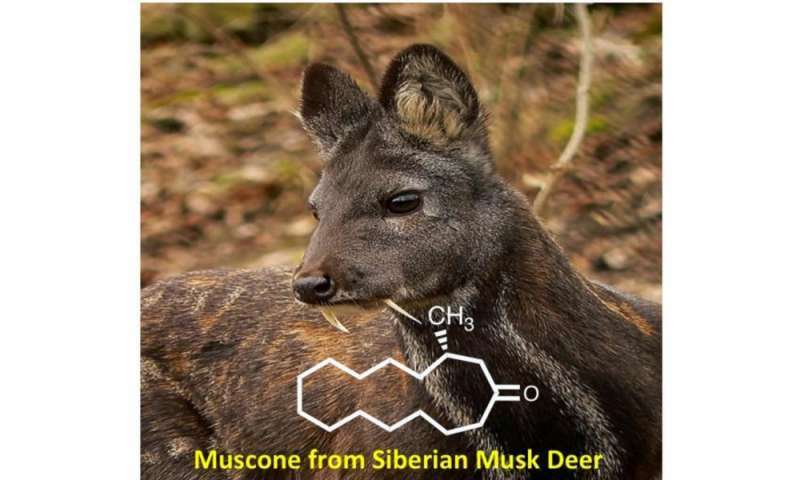 Luca Turin's group had looked at musks, the heavy molecules used as base notes in most perfumes. Their experiment hinged on whether people could distinguish by smell what are called isotopomers: molecules with all their regular carbon-hydrogen bonds replaced with carbon-deuterium bonds. Deuterium is just a heavier isotope of hydrogen, due to its extra neutron. Isotopomers are considered identical in structure and functionality. The logic of the experiment was that because the vibrations of bonds to hydrogen and deuterium are very different, isotopomers should smell different. And that's what Turin's group found in the case of these musks that had a relatively large number of hydrogens or deuteriums present. 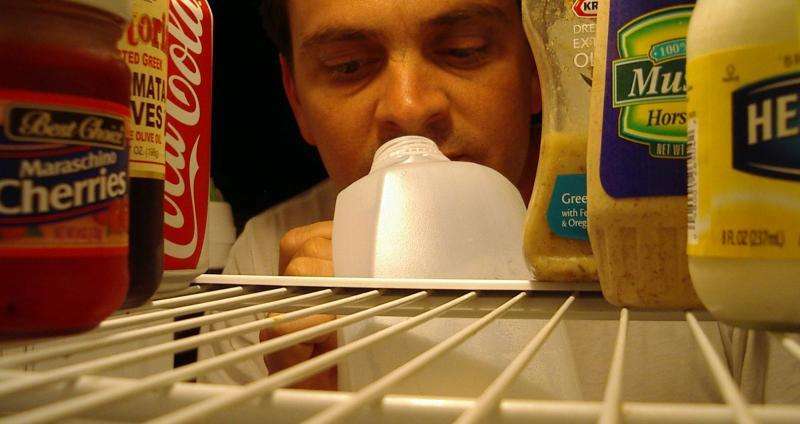 Chemistry occurs in the nasal mucus because enzymes capable of modifying the odorant structures are present. 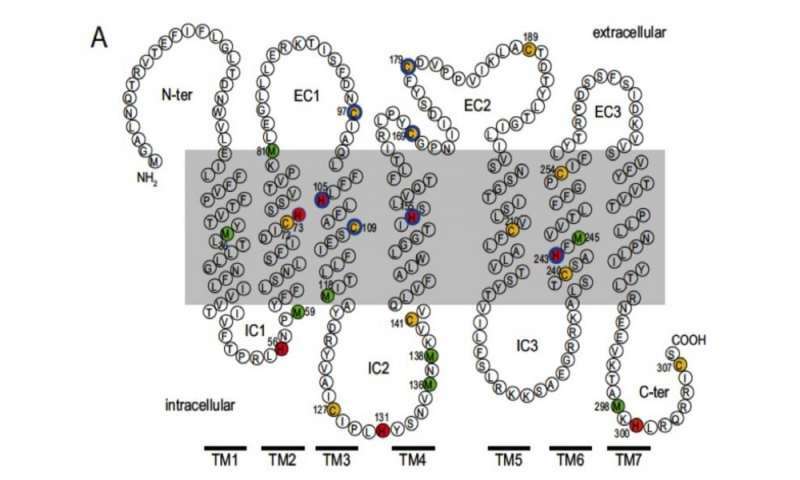 These enzymes protect the receptors against injury by toxic odorants. Each receptor can detect several related odorants that pass through the nasal mucus, although with intensity that varies from odorant to odorant. Most scents are composed of multiple different odorants. Each odorant typically activates several olfactory receptors, which in turn indirectly send electric signals to the brain. Each unique odor, through the identity of the different olfactory receptors activated and the intensity of activation in each case, leads to an "odorant pattern" unique to that odor, which the brain perceives as the smell of musk, lilacs, garlic, and so on. This is the basis for our ability to recognize and distinguish tens of thousands of unique odors. Subtle differences occur when hydrogen in a molecule is replaced by deuterium, since carbon-deuterium bonds are shorter and stronger than carbon-hydrogen bonds. As a result, enzymes could transform deuterated versus undeuterated compounds at varying rates. These different rates of reaction are well-known and could account for the differences in perceived smell of isotopomers. Maybe it's all down to perireceptor effects – the kind of chemical transformation that occurs in the nose before the odorant reaches its receptor. Trace impurities present to a differing extent in isotopomers could also lead to differences in perceived odors. My coworkers and I found no receptor that discriminates between isotopomers. We therefore argue that the vibrational theory of olfaction is implausible. If the receptors weren't responding to shape but to electron transfer, we should have been able to observe that in the form of a different receptor response between the pairs of isotopomers. Bio-molecules, such as enzymes and other proteins, interact most strongly when they have complementary surfaces and complementary distribution of active groups. Scientists commonly use the "lock and key" metaphor for interactions of complementary bio-molecules, but the metaphor should not be taken literally: bio-molecules are flexible, and molecular size and functional group attractive and repulsive forces are all involved. 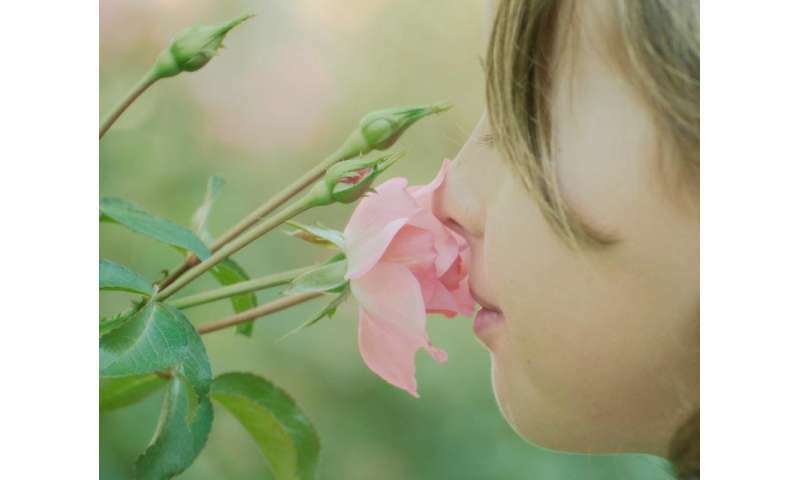 Olfactory receptors would likely employ a similar mechanism since they are proteins, structurally similar to drug receptors that typically utilize "lock and key" mechanisms. This is one case where a study's negative results – not finding something – could have a major impact on mainstream thinking about how we smell. That last figure is an absolute gem. Are you just saying that because your works have been linked to consciousness in Drosophila and Octopuses? Does it annoy you when claims by others are placed into the context of pseudoscientific nonsense touted by those who know nothing about physics, chemistry, or the conserved molecular mechanisms that link atoms to ecosystems via the biophysically constrained chemistry of odor-driven nutrient-dependent RNA-mediated protein folding? Excerpt: The receptors themselves consist of a chain of amino acids anchored into the plasma cell membrane and traversing it seven times. Do you think anyone will ever tell us where the receptors came from? Excerpt: "The vibration theory has been promoted by a popular book on the topic." Excerpt: "Turin's attempts to prove his calculations don't lie beyond the shadow of a doubt, are exquisitely detailed by Burr. Few researchers seem to care whether or not Turin has found a new scientific truth. He is generally dismissed as was Dyson, and as was R. H. Wright, another earlier promoter of the molecular vibration theory." I was biased by theoretical physicists and evolutionary theorists at the time I wrote the review. Unfortunately, theorists still bias the ideas of olfactory researchers who cannot link what Turin knows about quantum physics to the de novo creation of the receptors. They think the receptors are more important to understanding olfaction than Turin's atoms to ecosystems approach. Starting with the automagical appearance of the receptor ignores what Turin knows. You are both wrong. Tiny electric shocks stimulate olfactory receptors. The shocks come from changes in potential difference from released ions / exposure of ions on conformational changes of odorant binding proteins. OBP's change conformation on exposure to odorants. Comparisons of the latency of shocks measures chromatographic shapes/vibrations/etc. This accounts for sniffing as essentially chromatographic temperature programming with detection circuits identical to various chromatographic ionization detectors. The enzymes are there mostly to take odorants out of the mucus at a regular rate. See: Nicholson B. Pheromones cause disease: pheromone/odourant transduction. Med Hypotheses. 2001 Sep;57(3):361-77. Bubba Nicholson appears to think the receptors automagically emerged. Excerpt: "...it would take just 10 odors and 11 descriptive words to accurately build an olfactory fingerprint for one individual, or taking it further, using 34 odors and 35 descriptive words to create olfactory fingerprints for everyone alive today." The idea that human biodiversity "evolved" to make the unique olfactory fingerprint of 7 billion people identifiable via the human sense of smell is an idea based on pseudoscientific nonsense.